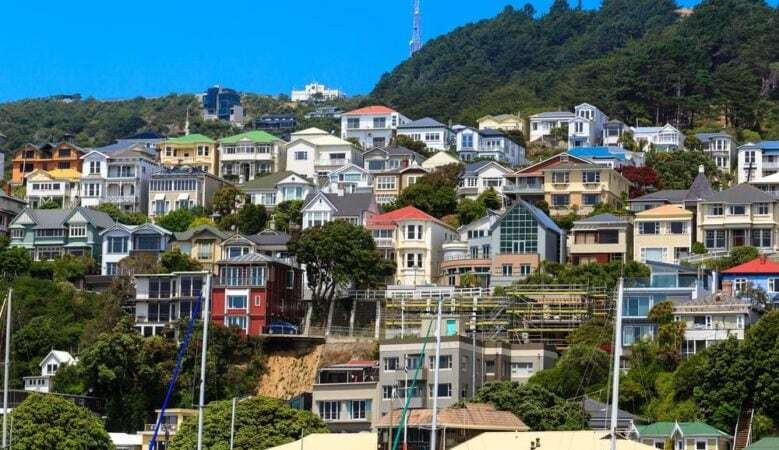 Property sales in New Zealand slowed down at the end of 2018 with December seeing the lowest number of transactions for the month for seven years, the latest index shows. The number of houses sold across New Zealand decreased by 12.9% year on year while in Auckland transactions fell by 24.3%, according to the index from the Real Estate Institute of New Zealand. But when Auckland is excluded, the fall in sales in December was lower in the rest of the country with a decrease of 8.2% year on year. The annual fall in Auckland was the lowest for the month of December in 10 years. The data also shows that 12 out of 16 regions saw an annual decrease in the number of properties sold and the number of homes coming onto the market is also falling with national listing levels down 11.3% in November and 13.3% in December. ‘What we’re hearing is that part of the lower sales volumes can also be attributed to some vendors’ understanding of the value of their home. A realistic approach to market value may help vendors sell their property in a more reasonable timeframe,’ said Bindi Norwell, REINZ chief executive. After Auckland the largest fall in sales was a drop of 23% in Taranaki, the lowest for the month of December since 2013 while sales fell by 16.2% in Wellington, by 14.6% in Otago and by 13.4% in Southland, the lowest since April 2017. However, there were some regions that saw an annual increase in sales volumes during December including a rise of 42.9% in West Coast, a rise of 29.4% in Tasman, an increase in sales of 15.2% in Gisborne and a rise of 7.2% in Hawke’s Bay. The index also shows that the national median price increased by 1.5% to $560,000 year on year while excluding Auckland it increased by 6.4% to $480,000. In Auckland prices rose by just 0.2% to $862,000. Only one region experienced a record median price with the Bay of Plenty seeing an increase of 2% to $610,000. ‘Whilst the Bay of Plenty was the only region with a record median price achieved in December, in actual fact it was a strong month from a price perspective as every region in New Zealand saw an annual increase in the median price. The last time all regions saw annual price increases was back in June 2017,’ Norwell explained, adding that Auckland finished the year in a strong position with the highest price for the region in nine months. In December the Manawatu/Wanganui region again had the highest annual growth rate, up by 17.7% to a new record high, followed by Gisborne/Hawke’s Bay with annual growth rate of 13.7% to a new record high and Otago up 12.4% annual increase, also a new record high. In November Waikato’s index had overtaken Auckland’s index, the first time Auckland’s index had been overtaken since March 2015. However, December has seen another three regions join Waikato in overtaking Auckland’s, Manawatu/Wanganui, Taranaki and Otago.